The residents of Television Centre were treated to an illuminating talk by Robert Seatter on the history of Television Centre. 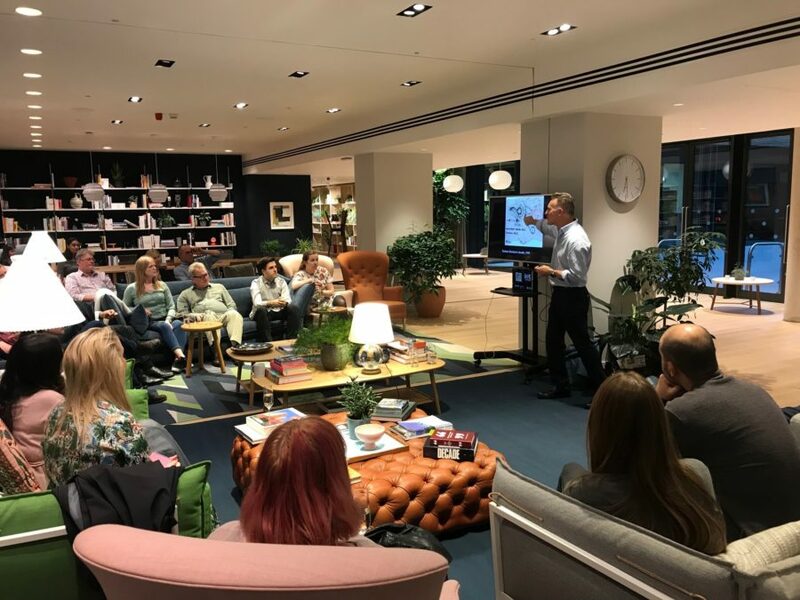 The talk was held in the residents lounge and showed the development of the area, from the original design of White City, consisting of twenty palaces, to its transition into the infamous BBC question mark building designed by Graham Dawbarn, which still remains today. Robert Seatter, whose knowledge stems from his role as BBC Head of History showed the residents how the BBC developed decade by decade since its grand opening in June 1960. He talked about how the building had started life as a “factory producing 1500 hours of black and white programming” and soon became the home to many popular television shows including Blue Peter and Fawlty Towers. The event ended with a short interactive quiz and a question and answer session, giving the residents a chance to ask Robert questions about the history of their homes.